Looking for a hard-to-find color or to match an existing color in your home décor? Just bring us a sample and a Rocky’s paint technician will create a custom tint to match. 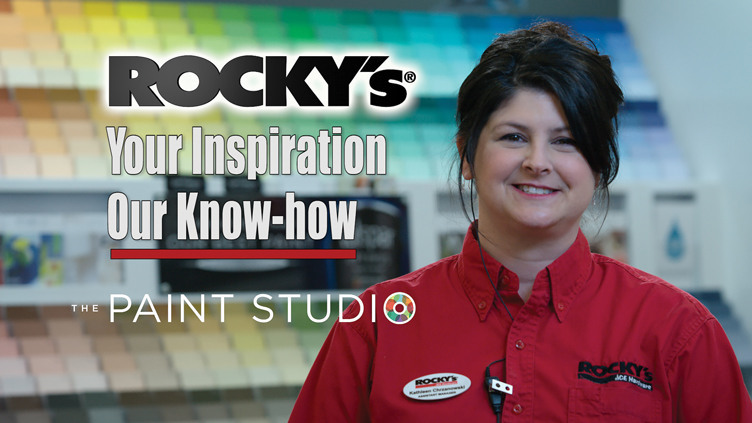 Rocky’s also offers low-cost paint samples so you can try colors at home before you commit to painting a whole room. Surface texture, lighting, shade and sun can all affect how paint looks once it is on for good. You can test a number of different colors at a time, or you can paint smaller test swatches on several walls to see how a color looks throughout a room. Come in today to browse through brochures, try some samples in your own home or ask a Rocky’s professional to help you find a color palette just right for you. Visit our Paint Project Center for painting tips and tricks to give you a professional result.